Norm graduated from Bidwell Junior High in 1972 and Pleasant Valley High School in 1975. While at PV, he participated in football all three years, as well as junior varsity basketball and golf. As a senior, Norm was the recipient of the Lion’s Club Outstanding Science Student Award, NROTC Scholarship, and was a California Scholarship Federation member. After graduating from PV, Norm attended UC Davis. He played varsity lacrosse during his tenure there, twice being selected to play on the California Collegiate All–Star team. He graduated with honors with a B.S. in Zoology and then continued his education at UC Davis, receiving a master’s of science degree in Physiology in 1981. He then moved on to the UC San Francisco School of Dentistry, graduating in 1985 as a Doctor of Dental Surgery. His diligence and hard work placed him as a finalist in the Block Drug Company Outstanding Essay Award and earned him the Eissmann Restorative Dentistry Award. Norm married his beautiful bride, Janice, thirty–two years ago. In addition to his fruitful career as a restorative and general dentist since 1985, he has a long list of other activities that keep him well occupied and committed to our community. He is serving as the Board President of the Chico Air Museum (2005–present) and as the Board Vice President of the North Valley Animal Disaster Group (2012–Present). 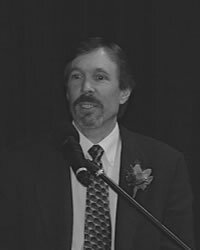 Norm was on the Butte county Airport Land Use Commission from 1996–2004 and he also founded the North Valley Aviation History Group in 2000. Along with these commitments, he has consistently served on a number of dental committees and boards. Norm and his wife are also owner/winemakers at Odyssey Winery and Vineyards. The beautiful, Greek-style designed winery is set amongst rolling vineyards in a gentle sloping valley just northeast of Chico. He practiced winemaking as a hobby-vintner for several years prior to deciding to take his skills into the more competitive commercial markets. Odyssey Winery and Vineyards is one of the favorite stops along the Sierra Oro Farm Trail each fall. In addition, Norm is also a nationally published photographer.